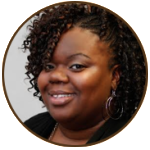 TaKarra Dunning received her Masters degree in Social Work at Western Michigan University in 2011. Since then she has joined with the Kalamazoo Public School District as a School Social Worker. She has dedicated the majority of her adult life to serving youth and her community. She has worked for the Let’s Talk About It Girls Home as a Direct Care Provider, Family and Children Services as a Direct Care Provider and Catholic Family Services as a Transitional Living Case Manager for homeless youth 16-21 years old. TaKarra is also a member of Mt. Zion Baptist Church and volunteers in the nursery at least twice a month. During 2012-13 TaKarra served on the Fund Development Board for the Ecumenical Senior Center and helped to plan events that financially assisted the organization through the fiscal year. TaKarra spends her summers continuing to invest in youth from her community, volunteering for the YBL Summer Basketball League, Hershey Track Meet and Memorial Day Parade. TaKarra Dunning hopes that the vision and mission of Charlie’s P.L.A.C.E will restore a lot of programs that she remembers from her childhood (community Halloween and Christmas party, swim lessons, golf lessons, tennis lessons, double dutch club, open gym, Circle City Classic trips, etc) which were all accessible to inner city youth. TaKarra’s focus is collaboration or competition to build a stronger commUNITY.